During a brief pause at Tallinn Music Week, I took a visit to Estonia’s main contemporary art gallery, the KUMU – walking through the wintry Kadriog Park to face this striking slither of a modernist building. A key story told through the permanent collection at the KUMU is one of Estonia’s crucial cultural role during the Soviet era – part of the USSR, but uniquely positioned to be facing out to Scandinavia as well as Europe, and by extension the West. What this meant was Estonian art became uniquely placed to transmit shifts in both Soviet and Western art; animate by the spirit of the Russian revolution and its associated avant-garde. During the Stalin years and subsequent thaw, Estonia was able to obsorb American influences like pop-art of the emerging counter-culture, but reinterpreting these as something specifically Estonian. 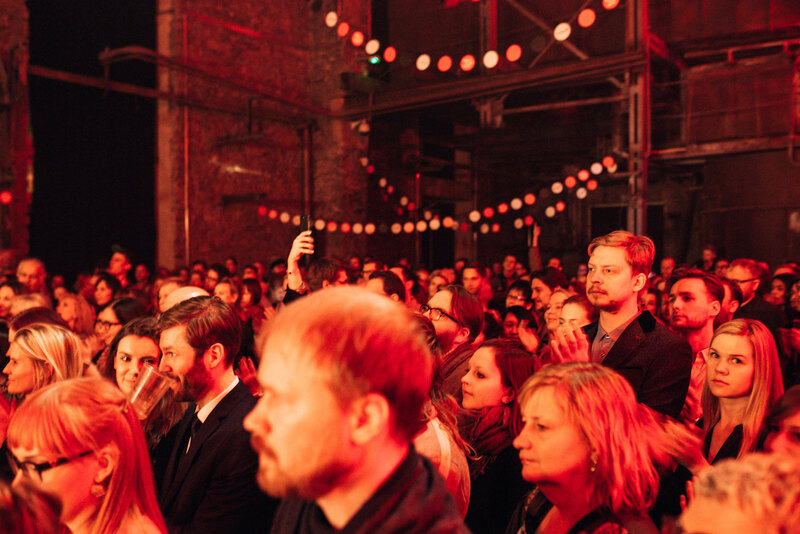 At Tallinn Music Week, Estonia’s role is once again crucial – showcasing the most vibrant sounds coming out of the Baltics, Russia, Poland as well as Estonia itself. Buzzwords aside, this is an accurate summation of the role Tallinn Music Week now holds. Rightly, the festival has been praised for building one of Europe’s most genuinely innovative programmes year after year; the work of the festival organisers is tireless and comes from a place of genuine knowledge about their patch, and a real desire to see that patch best represented. This is not a showcase that pays much attention to hype or fad. 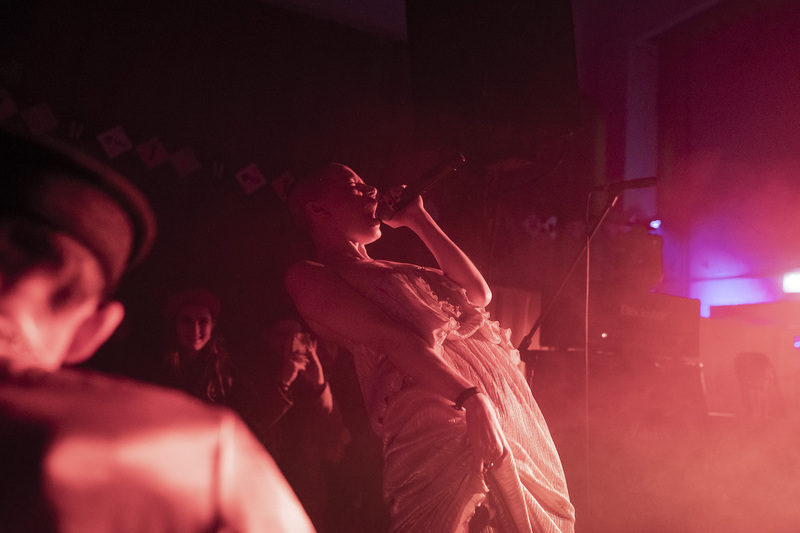 Though the festival would begin in earnest on the Friday, gems were still to be found on the Thursday night – specifically Siska from Poland at Sveta Bar. The two piece Siska would introduce their piledriving, furious noise rock with a speech about LGBTQ rights in Poland – as reported in the New York Times this week, the incumbent Law and Justice party in Poland are ramping up their anti- gay rights rhetoric significantly. This speech set the tone for a confrontational, politically charged set where the basslines came close to demolishing the entirety of Telliskivi. In sheer attack, it was matched only by the terrifying sonic textures of Japanese noise artist MOJA this weekend. The theme of Tallinn Music Week’s ever expanding conference this year was the impact of arts on the economy; opened by an incendiary speech from post-punk graphic designer Malcolm Garrett titled ‘Brexit is Over! If You Want It!’. A difficult reminder for the British attendees at the festival, who exchanged no small amount of gallows humour and winces at the fact that the festival was initially scheduled to open on the date of the Article 50 deadline. The highlight of the conference was undoubtedly sonic polymath Barry Adamson, being interviewed here by Ingrid Kohtla and Richard Foster. Whilst focused on the creative process and no small element of psychogeography, Adamson’s reference points from his own career are as varied and dangerous as the line-up at Tallinn Music Week. There were panels on gender, and one on ‘cancel culture’ – which whilst an interesting premise, struggled to move on from discussing the important contemporary example of Michael Jackson and widening its lens to culture more generally. Classical too is a large part of Tallinn Music Week’s remit – perhaps the most eagerly anticipated performance in this field would be Krill Richter, the celebrated Russian pianist who has worked extensively on film and TV. The quality of the venues at Tallinn Music Week reflects the quality and diversity of the lineup; Richter’s haunting, spectral classical is ideally suited to tonight’s venue of the Kalju Church. Over on the Folk Stage, to a packed out audience, it’s Catlin Mägi who provides what is for me the highlight of the festival. Perhaps embodying the spirit of Tallinn Music Week more than most, Mägi’s music looks to Estonia’s past whilst pushing that past entirely forward. Mägi plays the Jew’s Harp, looped and heavily treated until it sounds akin to a synthesiser than a plucked reed instrument – her topline melodies over this are sublime, using traditional folk scales but conjuring a new and visionary kind of music that uses the traditional to evoke something otherworldy, genuinely psychedelic in a way little else is. From a psychedelia of sorts to the psych pop on display at the festival; Trees, one member down, were still harmonic and potent whilst Teemu & the Deathblows at Sveta Bar was a standout set in terms of hook laden, Brian Jonestown Massacre aping psych guitar rock. One of the most talked about sets of the festival proved to be one of the festival’s most exciting – Sado Opera at Erinevate Tubade Klubi. A unique venue where the audience are required to take off their shoes (opt for barefoot or a pair of the slippers provided by the venue). Formerly based in St Petersburg, Sado Opera are now based in Berlin – the house band at nightclub Wilde Renate – and tonight’s set becomes a temporary cabaret of disco and high-energy, Bobby Orlando-esque synth pop. Their material takes in encounters from the Berlin underworld and fusing them with a unifying, political message. There’s a mutual respect to the culture at Tallinn Music week between artist and audience, festival and artist, promoter and venue. It’s in a way that isn’t always there in Europe, and isn’t ever really there in Britain – we are served beer in real glasses in virtually all of the venues. As Britain lowers itself further into a sticky quagmire of political instability and deadlock, all the while watching the government’s culture brief slide into irrelevancy, there’s an astonishing amount we can learn from Estonia in general and Tallinn Music Week in specific. The broadcaster Jonathan Meades, in his 2008 series Magnetic North, argues that Britain’s long-standing lust for the lifestyle and aesthetics of Southern Europe (Italy and Spain in particular) blinds it to its real similarities to the Baltic culture, with whom (Meades argues) we are more naturally aligned to. The weather, the beer, lots of brick, the gothic, a taste for detail and the gothic. This is on my mind walking around Tallinn’s medieval streets, and in its modern buzzing warehouse spaces – simply, we have much to learn from Tallinn Music Week, and one can only hope that Estonia isn’t too embarrassed by its commonalities with Britain as Brexit denigrates us further.